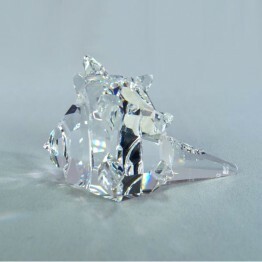 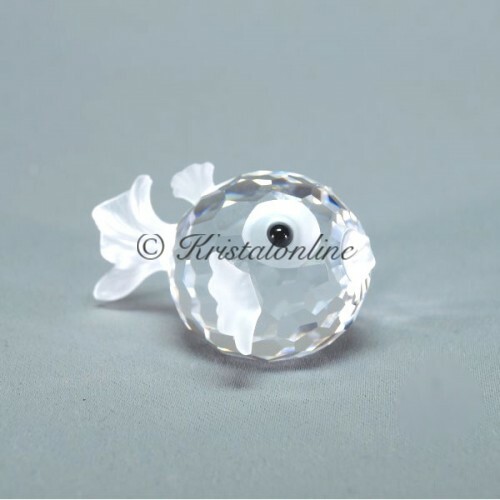 This retired Swarovski crystal Blowfish is the middle sized fish of the 3 blowfish produced by Swarovski. 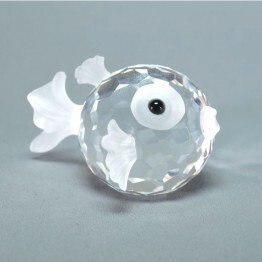 Confusingly it can sometimes be referred to as the 'medium blowfish'. 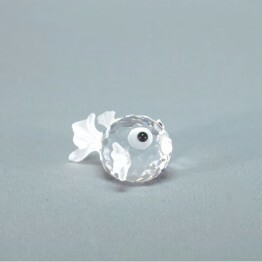 The 2 other sizes of blowfish are mini and large. The body of the blowfish consists of clear facetted crystal with frosted crystal used for the tail, fins, mouth, and around the outside of the black crystal eye.